J & D Electric Ltd knows the primary function of interior and exterior commercial lighting is to support the business at hand. Our highly trained, professional lighting technicians serve commercial, industrial and institutional organizations in Moncton and the surrounding areas. Phone J & D Electric Ltd’s innovative commercial lighting team to set up an appointment for a free consultation and estimation. From exterior to interior commercial lighting, retail lighting service, fixtures, control panels, electrical components, lamps and bulbs, we design, implement and maintain superior illumination solutions that contribute to the long term safety and wellbeing of your Dieppe clients and employees, as well as your overall brand image and bottom line. We are your Moncton premiere commercial lighting design specialists. We will work with you to assess the functionality of your work space and create a lighting layout that integrates task, ambient and accent lighting. 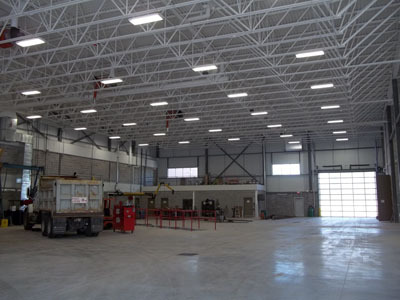 We focus on lighting that allows for a smooth, comfortable transition from space to space and addresses energy efficiency and Moncton code requirements. Our goal is to present our clients with the most cost efficient commercial lighting design layouts to combine beauty, employee and customer comfort, and to create an ambient environment that enhances productivity and long term wellbeing. 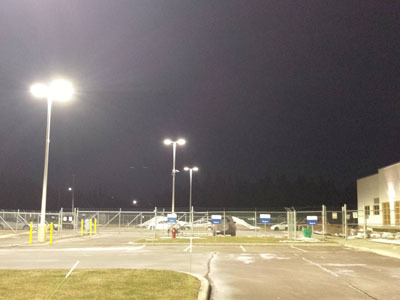 J & D Electric Ltds commercial exterior lighting services extend to a wide variety of exterior illumination products and lighting controls. Using your unique spacing specifications, our design team will customize an outdoor lighting solution that combines design, science and technology, so your customers will always see you in your best light. At J & D Electric Ltd we work with the industry’s most trusted commercial lighting manufactures to deliver reliable and efficient commercial interior lighting services to our valued clients in Moncton and the Greater Moncton area. Of course, each professional space comes with unique lighting requirements and we have the know-how and experience to implement the solution that makes the most sense for your individual space. 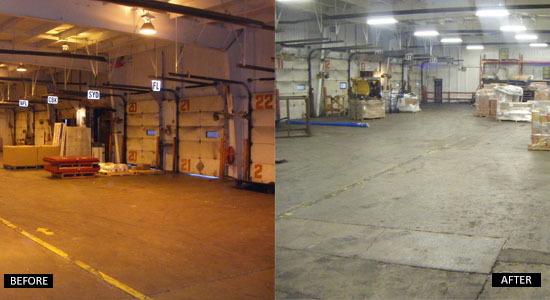 Our commercial lighting installation team has been working with commercial clients in Moncton for a number of years. It is thanks to their efforts that we have a reputation of reliability, innovation and efficiency. Our highly trained and experienced technicians are committed to showing up on time, every time, with all of the materials and specifications required to get your commercial lighting systems installed and working quickly. Have you ever walked into a store or office where the lights were so bright it made you squint, and the contrast of the bright light reflecting off of the pale walls just made you want to turn around and exit? This is the last reaction you want your clients and employees to have when they enter your place of business. So trust professionals with years of experience designing and installing commercial lighting in Moncton with your space. It just makes sense.